I really like the card Steal Enchantment I'm surprised I haven't seen it in other decks before. I also think you need at least one or two more lands. 34 is really low. Chain Veil and anything with proliferate to help your boss (Contagion Engine and Viral Drake maybe). Your boss untaps any enchanted permanents so maybe a couple enchant artifact spells? A Sol Ring with Living Artifact = 4 mana and life gain. Ensoul Artifact maybe? 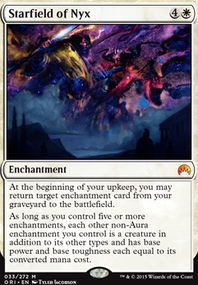 There are a lot of useful Umbra's, Magemarks and Bestow enchantments to put on creatures. If the people you play use a lot of enchantments try Steal Enchantment, Fumble and Aura Graft. Alexi's Cloak, Steal Enchantment, Arcane Lighthouse and Myth Realized would all work here. Hey,I also have a Sakaschima Deck and it's my favorit deck to play. Here some tips from me after playing my deck over 2 years. I play cards, which are not always good, so I play a lot of card fixing like Ponder, Preordain or Flash of Insight (Which btw is really good!). So I always find the right card to the right time. I love so called "toolboxes" Cards that find the right cards. Mine are Trinket Mage, Muddle the Mixture and Tezzeret the Seeker . So I can find the card that I need.Some good enchantment well I can get Steal Enchantment with transmute or need some graveyard hate? Well just get Phyrexian Furnace with your Mage. You know the stories. You already run Snow-Covered Island so try Mouth of Ronom. Blue doesn't have the best creature removel so this helps sometimes. Just be carefull. If you play this deck too much, you might don't want to play any other deck. You are correct, except for the term destroy. The Aura is put into the graveyard as a state based action, causing you to regain control of Athreos, God of Passage. Had it been able to enchant Athreos regardless of devotion, such as Steal Enchantment it would be able to remain. Godsend becomes unattached, also as a state based action, but you still control it and would be able to re-equip it on your next turn. In my decks, the cards that haven't been printed since the modern frame that I had never seen played before I found them to put them in my deck are Caverns of Despair, Grip of Chaos, Hall of Gemstone, Holistic Wisdom, Primal Order, Titania's Song, Hunting Grounds, Ritual of the Machine, Steal Enchantment, Aura Thief, and Thalakos Deceiver. I run Archfiend of Depravity over Rune Scarred. I also include Sheoldred to make them sac a creature each upkeep. To keep from being overwhelmed by tokens, that I don't want to waste Merieke ability on, I run Eye of Singularity. Pemmin's Aura is an auto include for me due to its' multiple abilities. Etherium Sculptor is another way I deal with artifacts and creatures. Merciless Eviction gives you multiple options (all with exile) that might take place of Wrath of God. 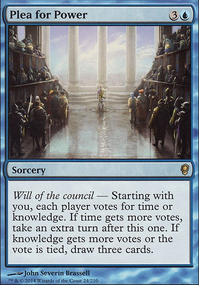 Same reason I run Austere Command in my deck. I try to force my opponents to focus on everything that I have on the board more than Merieke. That said, I run Bribery, Treachery, Steal Artifact, Steal Enchantment,Copy Artifact, Copy Enchantment,Preacher and Seasinger. Why 41 lands? 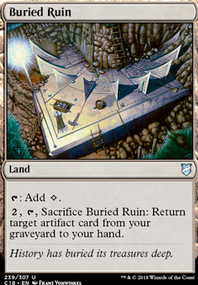 With your commander's scry ability, you should be able to hit your land drops fairly consistently. I'd suggest cutting back to maybe 36-38. Also, I'd strongly suggest Sol Ring. It gets your commander out turn 2 so you can start taking advantage of that scrying sooner. 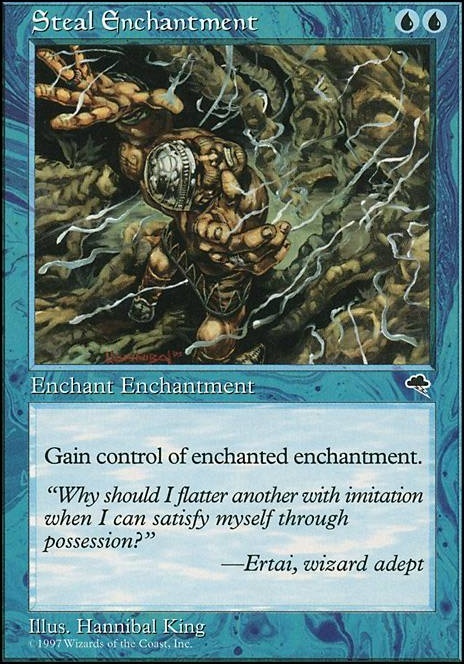 If you want to go for commander beats, (as one often wants to do with another destructible 3cmc 5/5), I'd suggest some low-cmc enchantments that are predominately colored mana, such as Declaration of Naught, Dictate of Kruphix, or even Steal Enchantment. 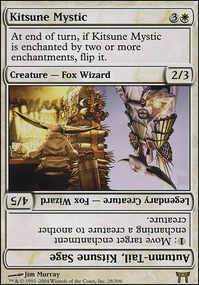 I say this because creatures are much easier to remove than enchantments, and if your creatures are giving Thassa her devotion, then a standard creature wipe will also remove her from active duty. Anyhow, hope some of this helped.